Academic Anxiety can alter our ability to perform everyday tasks with ease or to be able to relax in our surroundings. For children with academic anxiety, their fear or nervousness interferes with everyday life. Their anxiety levels are linked to internal pressure that they place on themselves, as well as how they perceive their family members’ and teachers’ expectations. For these children, academic anxiety undermines performance and the ability to transition from one activity to another which interrupts the learning process. 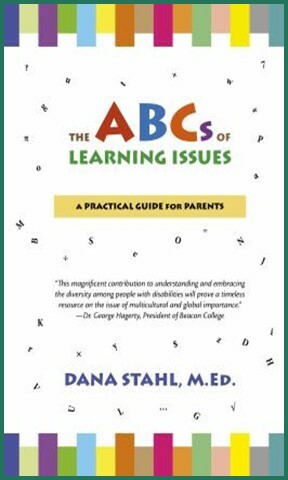 The following learning issues, Academic Anxiety with Regard to Transitions is reprinted from my book, The ABCs of Learning Issues. Anxiety may be a normal part of life, and it can also be maladaptive if excessive feelings of fear, worry, or nervousness interfere with everyday life. Anxiety levels are linked to internal pressure that the students may place on themselves, as well as how they perceive their family members’ and teachers’ expectations, as well. Settling into class and transitioning from one task to another can cause the student to feel anxious and uncertain, which can interrupt the learning process. Students may present as ill prepared for class and appear unable to begin the class period. What do these definitions mean? When students complete an assignment and shift to another, they can become uneasy and have difficulty focusing on the new topic. This is especially apt to occur when clear expectations and routines are not in place. Students may feel a loss of control if they don’t know what is coming next. These students need extra support to prepare for transitions. Which behaviors may parents observe if their child demonstrates this learning issue? • Children may feel anxious and uncertain when shifting between activities. • Anxiety is lessened when routines remain consistent. Which professionals can treat this learning issue? Which teaching strategies can be effective in school? • Review the schedule for the day or class period and point out anticipated transitions so students know what to expect. • State clear expectations for class lessons and assignments. • Make sure that directions are both verbally and visually presented. during academic and recreational transitions. Need help understanding your child’s learning issues? 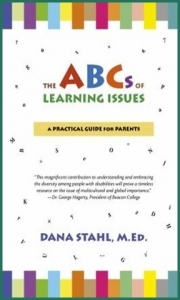 Read The ABCs of Learning Issues by Dana Stahl M.Ed. 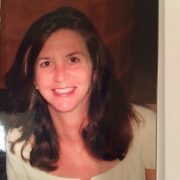 Do you have a Question About Your Child’s Learning?